Ce bouquin n’est pas mal, ça vaut le coup. This book isn’t bad, it’s worth it, worth reading. J’ai beaucoup aimé Athènes, ça valait le coup. 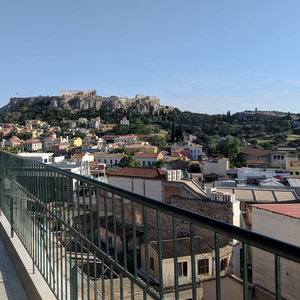 I really liked Athens, it was worth it, worth visiting. 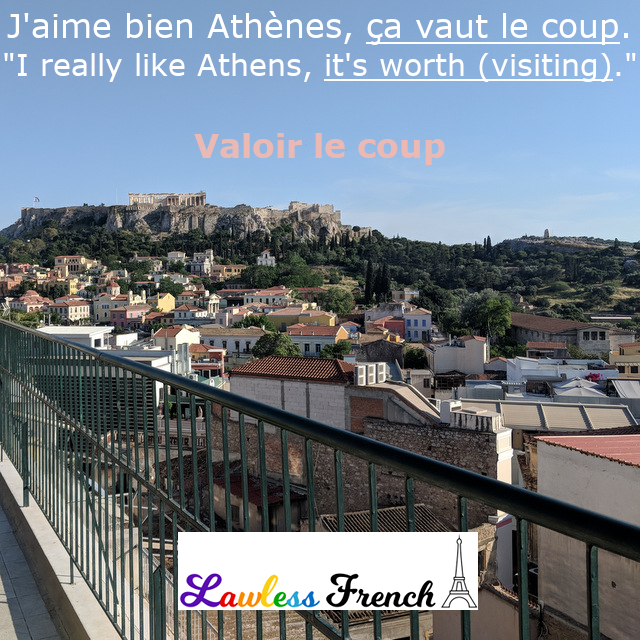 While impersonal phrases like the above are the most common, valoir le coup can be used with personal subjects as well. Ce bouquin vaut le coup. This book is worth it, worth reading. C’était un voyage qui valait le coup. It was a worthwhile trip. Ça vaut le coup de lire. It’s worth reading. Ça valait le coup de visiter. It was worth visiting. Informally, you can say that something is worth doing with il or elle as the subject and a subordinate clause in the subjunctive. Il vaut le coup que tu le lises. It’s worth reading. Athènes est une ville intéressante, elle valait le coup que nous y allions. Athens is an interesting city, it was worth going there. valoir la peine – literally, "to be worth the pain"